Recording better and even better videos has always been a race. Loading the megapixels to the features of the camera is over now. The new league of 1K, 2K, 4K video recording is in. An HD TV has a pixel width of 1024 (1K), but with 4K video camera giving, the videos of super fine details 4096-pixel width videos are the future now. Soon 1024 is going to be categories as low-resolution video. You may not be able to view the videos recorded in 4K camcorder yet, then why we need a 4K camcorder. The 4K videos will ensure you in coming future that you view the same video much sharper and crisper. You want to extract an image from an HD video maximum, you can take is 2MP; but with a 4K video camcorder, you can extract an image up to 8K. Your 4K camcorder is going to give you a far more stabilized video than an HD. Even when you use the image stabilization algorithms on a 4K camcorder video, it gives you ample pixels to ensure the resolution remains high. When you downscale a 4K video to the 1K video, the output is even sharper and detailed. 4K is substantially more detailed, it has twice as many pixels along the width, and four times total pixel count compared to the 1K videos. Description: It's an ultra 4K camcorder that records in HD. Wi-Fi enabled best 4K camcorder with inbuilt multi scene twin camera is perfect for a near professional 4K video camcorder recording experience. 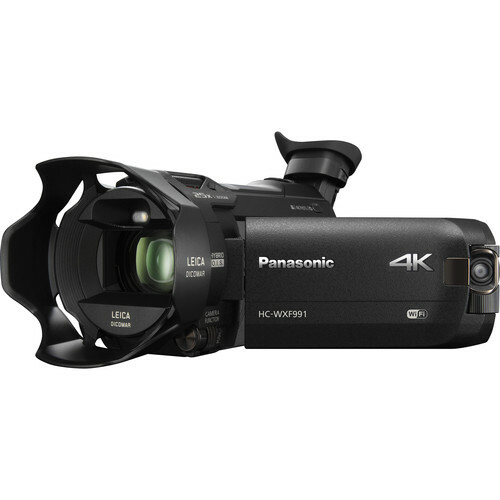 With in-camera editing features, the best 4K camcorder 2017 has an exclusive High Dynamic Range (HDR) that gives a well-balanced light exposed video recording. 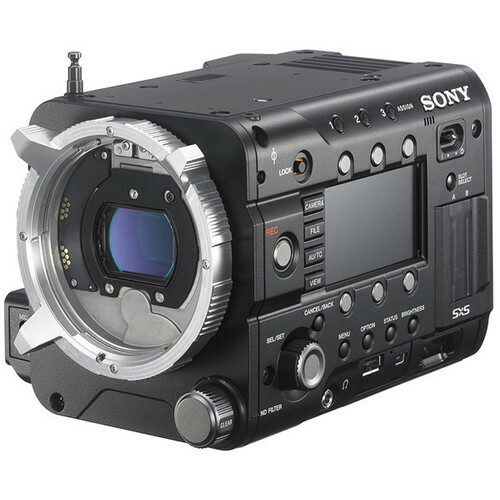 A 20X optical zoom and 5-axis Hybrid optical Image Stabilization captures stills also in 4K video frames. The image quality is perfect in any level of illumination. 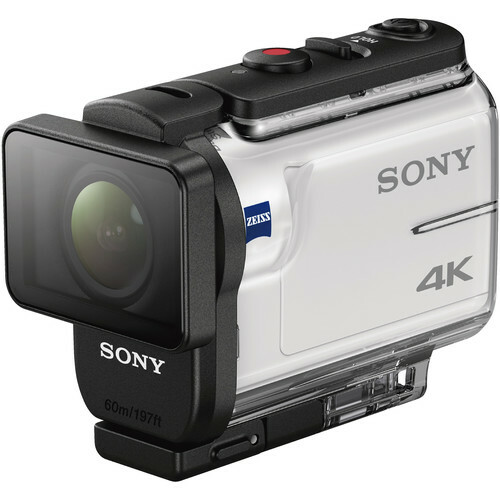 Description: A professional best 4K camcorder recording the 4K videos brings a lively feel to the videos and stills. The wide angle Zeiss lens is perfect for capturing vast landscapes. Image clarity, low noise even in dark lights is a forte of this best 4K camcorder. At 50 Mbps HD bitrate, the user can record very fast moving shots. The HDMI port makes the playing and transfer of videos easy and quick. Recording two movies at a time with 5.1 ch Dolby surround sound recording capacities. Description: A 4K camcorder that fits in your hand with 20X optical zoom Zeiss lens gives Ultra High Definition videos and stills. At 24 – 30 frames per second, it gives a stabilized recording even under very low light densities. Balanced Optical SteadyShot image stabilization technology which makes a best 4K camcorder in 2017 gives smooth and stable recording with entire the zoom range. Autofocus speed, a lower-noise in-built microphone, and a high-speed 1080p 120 fps recording mode give best quality recording even in slow motion. 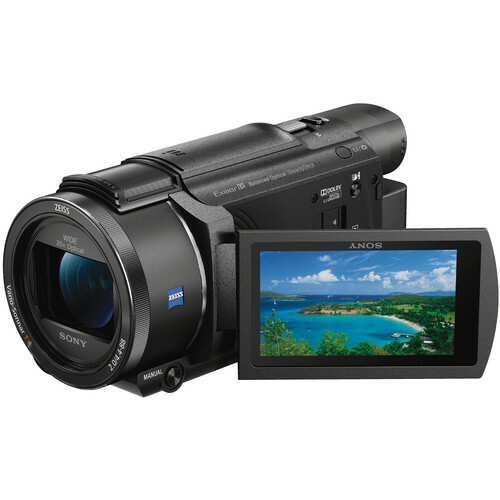 A large playback screen and HDMI, Wi-Fi, USB enabled have best 4K camcorder review. With XAVC S codec the camera can record UltraHD resolution 4K at 30fps or 24fps. It can record a Full HD 1080p at 50 Mb/s in the same codec. Its high-speed recording feature makes it perfect for action scenes. The lens has an in-built feature to record without excess vibrations getting embedded in the video. 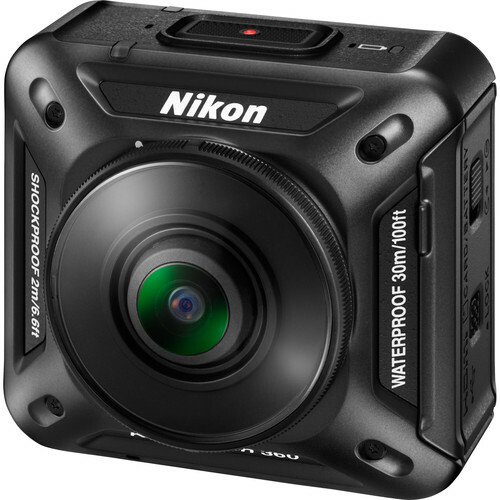 With the water proof casing, you can take the camera for your diving adventures too. The smoother stable video is a forte of the product. A remotely monitored feature makes it more versatile. For audio it has an in-built stereo microphone making audio quality remarkable. A very simple to operate best 4K camcorder 2017 has astounding 4K camcorder review. 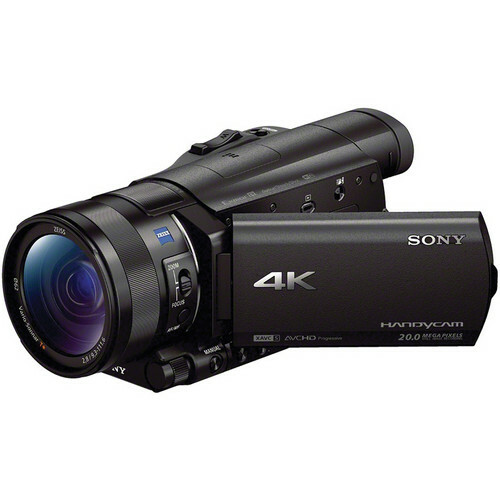 Description: At 29.97 frames per second, the Ultra High Definition camcorder 4K is more of a professional camcorder. With 1089 resolution the frames per second go up to 59.94 fps. An integrated zoom lens makes the camcorder 4K robust for professional use with auto as well as manual focus solutions. The write speed to SD card is very fast and segregates the 4K videos in storage as well as the skills. With a super sensitive MA-400 Microphone, the audio quality matches the video quality. A very compact 4K camcorder it has the best 4K camcorder review. Description: A handheld camcorder 4K with 12X optical zoom is fit for professional use. 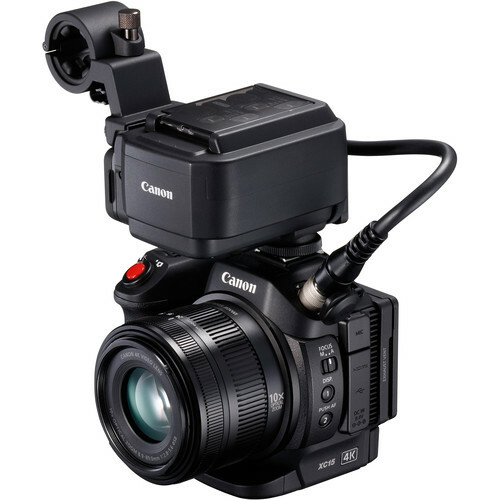 The camcorder is packed with dual XLR audio inputs, SDI and HDMI outputs. 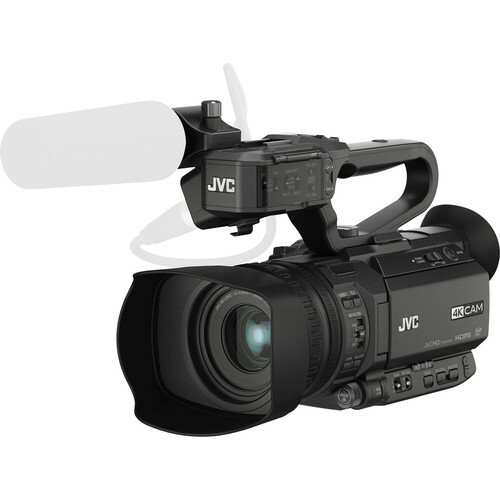 It is a perfect professional camcorder to deliver the live recordings. With in-built ND filters, stereo microphone and wired remote control function and nine quick function buttons. A full HD recording at 50 Mbps the camcorder is the ultimate choice for HD recordings with the Advanced JVC streaming engine with USTREAM, Wowza Streaming Engine, and Zixi. The dual video feature records HD on the memory card while provides live streams to YouTube and like simultaneously. Description: It’s a pure professional 4K camcorder its captures 4K, 2K and HD videos. It is an exceptional camcorder with zero motion Skew. It captures the closest 4K with its CMOS sensor. With high-speed SxS PRO+ memory card, it allows to record 8-bit MPEG-2 HD422 at 50 Mbps, 10-bit XAVC 2K/HD at 100 Mbps, and XAVC 4K/QFHD at 300 Mbps. Compatible with a range of lenses and the camera gives sharp images with low lights as well as with high exposure lights. With high speed, media card recordings speed is not at all a hassle. Description: Nikon KeyMission 360 is the dual-lens camera. It simultaneously captures two 180°+ UHD 4K images and automatically mixes them into a single 360° video. The camera records both Ultra HD 4K resolution and Full HD 1080p at 24 fps video and 29MP still images. In any of the shooting modes both the lenses work at the same time automatically. A 100ft waterproof casing is freeze proof as well as dust proof. A perfect camcorder for outdoor shoots as it nullifies the shakes with internal electronic Vibration Reduction feature. Watching the 4K videos is bliss, superfine and crisp video quality is leading more videos in the digital world to 4K videos. Many platforms like YouTube and Netflix are switching to 4K video streaming. Even if you do not have a 4K video compatible device, you can still watch these videos to the formats that run fine on your existing device. Many apps are available that make your task easier. 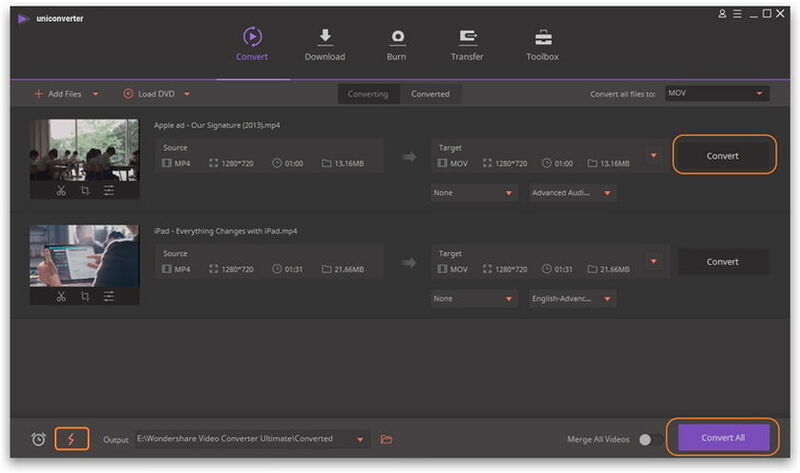 Wondershare UniConverter (originally Wondershare Video Converter Ultimate) is the best to convert the 4K videos to MOV, DivX, AVI, FLV and AVI also HD WMV, HD MP4, HD MKV, HD TS, HD AVI, HD MPG, HD TRP 720p or 1080p, HD TS. Editing, downloading, converting, and burning the videos and transferring videos between computer and devices, hard disks, and DVDs. You can add watermarks to the videos. The conversion speed is better as compared to other apps. It packages all you need to handle 4K videos in a simple interface. A quick 3-step guide helps you convert 4K video to any format you wish with Wondershare UniConverter (originally Wondershare Video Converter Ultimate). Import 4K files to the program. Before the step, you need to install and launch the video converter on your computer. 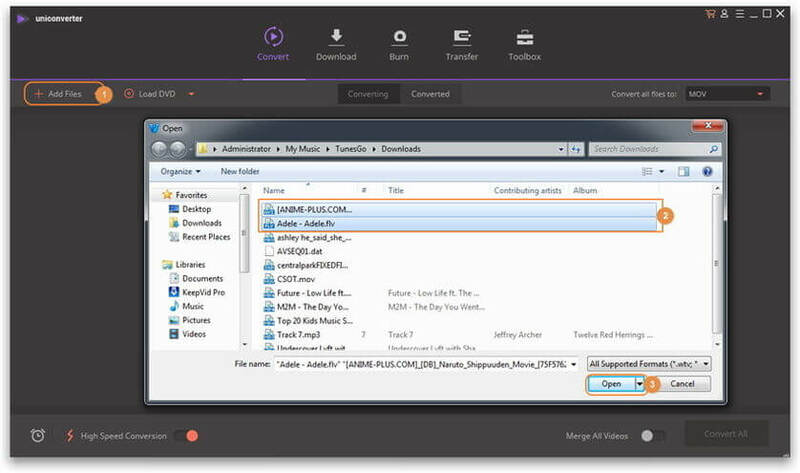 Import the video files that you want to convert to the Converter tool by directly dragging and dropping. Another option is to use Add File button in the menu bar and choosing 4K files and then click Open button to load 4K files. Click on the Drop Down button from the top right side in front of Convert all files to and choose your desired output format. In the output formats, you will find many options from Video category like MP4, AVI etc. You can choose any format of your choice from there. Start converting 4K Video to any format. Click the Convert All button and start the conversion. Once it is completed, you can easily watch the converted videos.